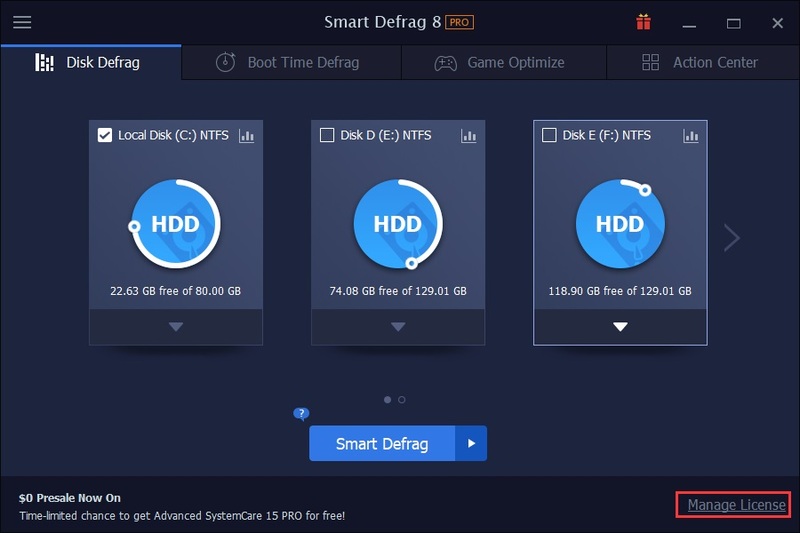 How do I register my Smart Defrag to Pro edition? 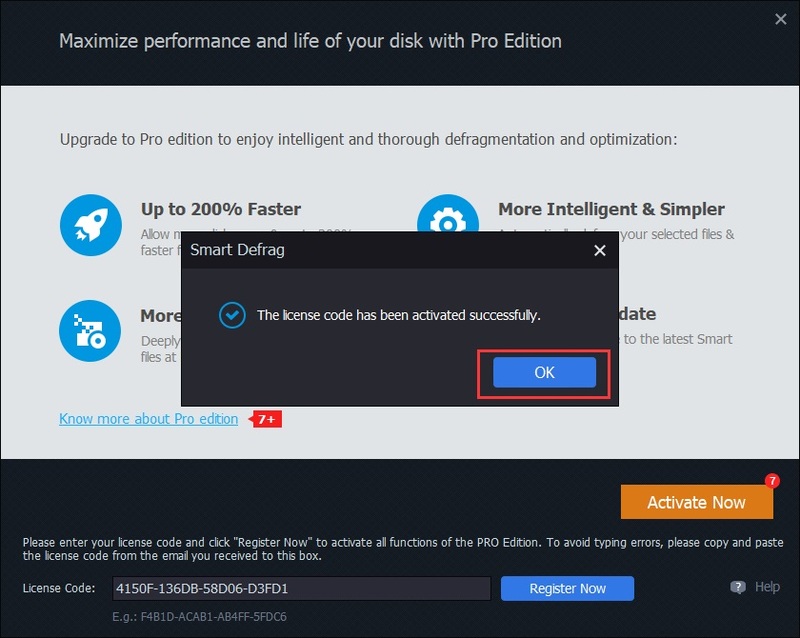 How do I refresh my Smart Defrag Pro with my new/renewal license code? 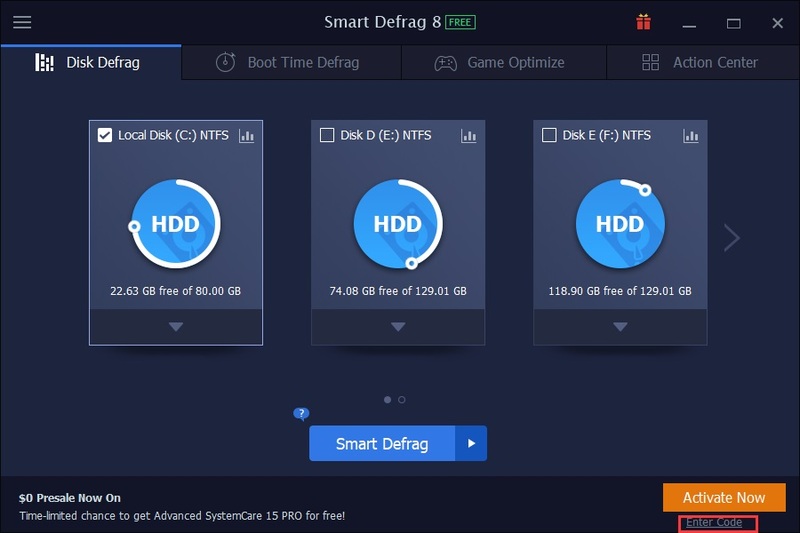 Note: If you do not have the program installed, please click here to download the latest version of Smart Defrag 6 and install it. 1. 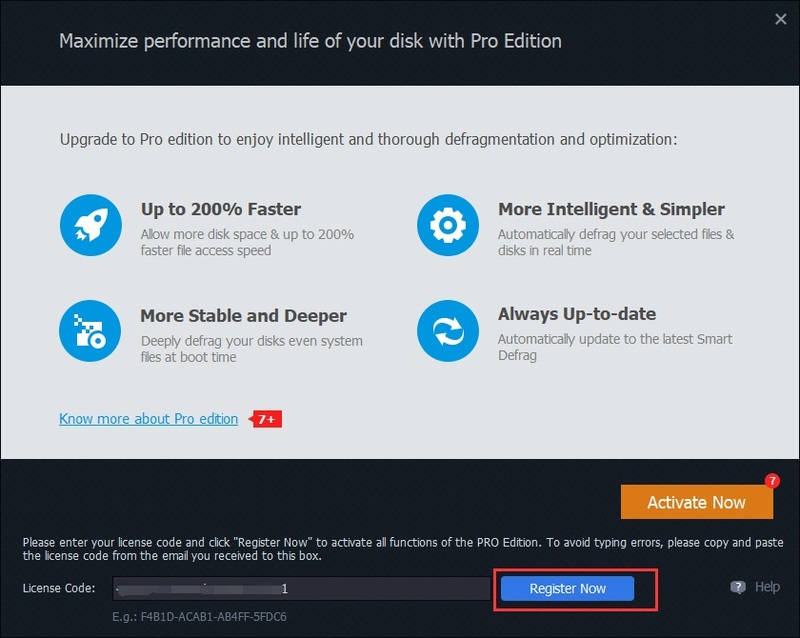 Open your Smart Defrag, nd click the Enter Code button at the bottom right of the main screen to open the register window. 1. 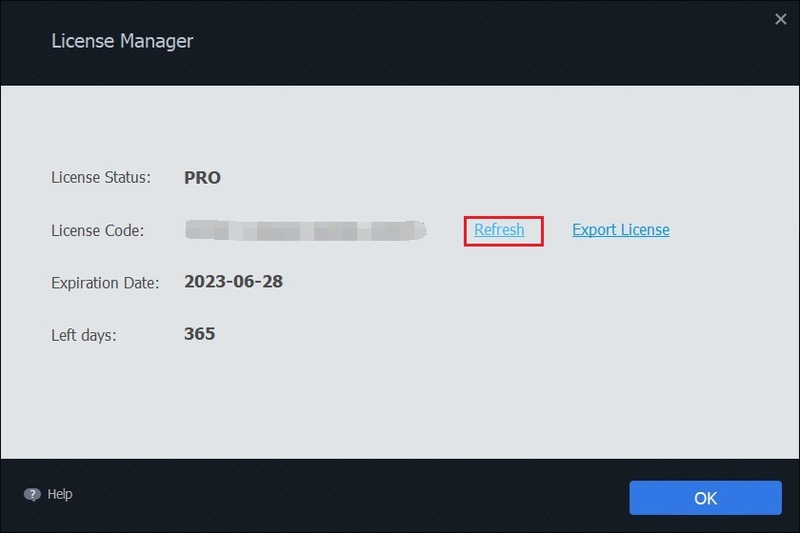 Open your Smart Defrag PRO, and click the Manage License link at the bottom right or the PRO link at the top middle to open License Manager. 2. Click the Refresh text link to open a new registration window. 3. Copy & Paste to enter your new/renewal license code, and click the Register Now button to get the new service time..